Do you know that you posses the power to Manifest your dreams??!! Yes, you do! You really, really do! When you truly believe in your dreams, focus on what you desire, get clear about EXACTLY what you want and have faith during the processes of allowing it to manifest, you can have those things. One of the most important things to remember when it comes to Manifesting your dreams is believing. When I say believing, I mean really believing – without a shadow of a doubt – that your dreams, those things you want to do and have to share light and love with the world, will come to fruition! And not only that they will simply manifest, but they will manifest in a magnificent way to add Joy to the World and love in your community and circle of influence. Personal Affirmation from my own life —> I love the story of Joshua in the Bible. When Joshua needed to defeat his enemies in a battle to get closer to seeing the Promise Land, he knew he had to be bold, he had to be courageous and so he prayed a very powerful prayer that he had faith God would deliver on. Joshua knew that once the sun went down it would be difficult for him to see and defeat his enemies. It was at that time that Joshua prayed to God to allow the sun to stand still in the sky long enough to allow him to see and defeat his enemies. Joshua’s faith moved God to literally stop the sun in the sky when it should have gone down and thus allowed Joshua to defeat the enemy and win the battle! I believe that same power that Joshua used to command the sun to stand still in the sky while he defeated his enemies………lives in ME!!!!!!!!!!! This same power assures me that when I get clear on what I am requesting of God, and believe without doubting, I will see my dreams come to fruition. Not only will I see those dreams and desires come to fruition, but I know God will take what I ask for and MULTIPLY it! The cool thing is that I’ve seen it happen sooooooo many times in my own life that I’m certain of it without even having to look anywhere else for confirmation! Can I get an Amen?!?!?!? When I was just 2 years old, my parents gave me my first toy doctor’s kit for Christmas, I’ve always said I wanted to be a doctor and truly believed, no matter what, that I would be a doctor “when I grow up” lol. My dream became a reality when, at just 26 years old, I become a doctor!! Not only did that dream of becoming a doctor manifest for me, but the vision of owning my very own medical practice manifested earlier than I ever thought possible! Additionally, I discovered that my true purpose in life is to Uplift, Encourage and Inspire. Not only do I do this via treating patients as a doctor, teaching and encouraging other entrepreneurs through being an entrepreneur myself, but I now reach and encourage people all over the country via my Leadership Speaking and all over the world through this blogging platform….Look at God! 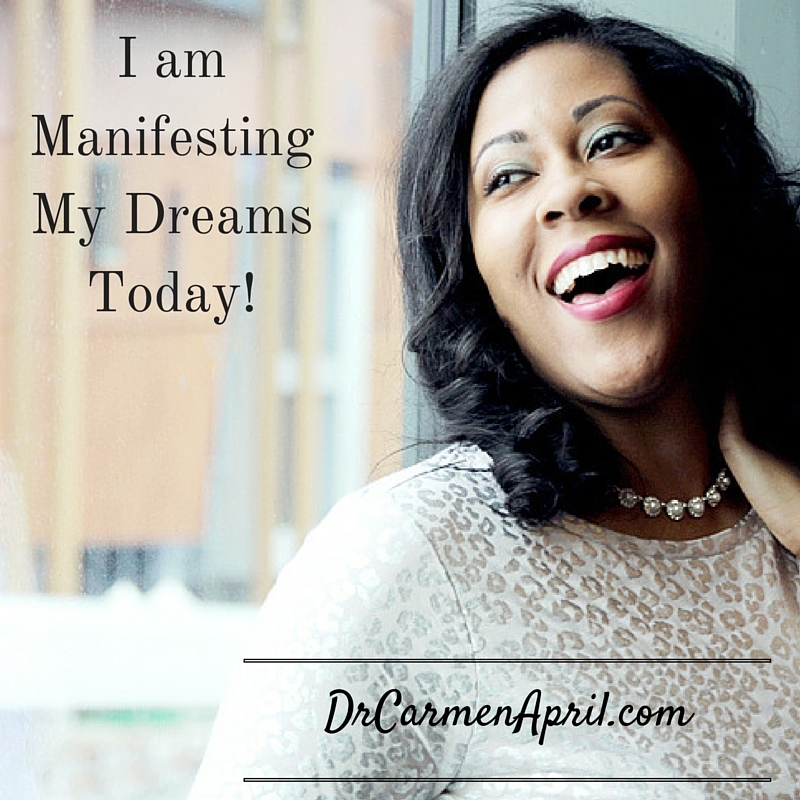 I believe now, more than ever, in the Power of Manifesting my Dreams! I’ve seen it happen in my own life too many times to count and I’ve seen in happen for others in mighty ways! 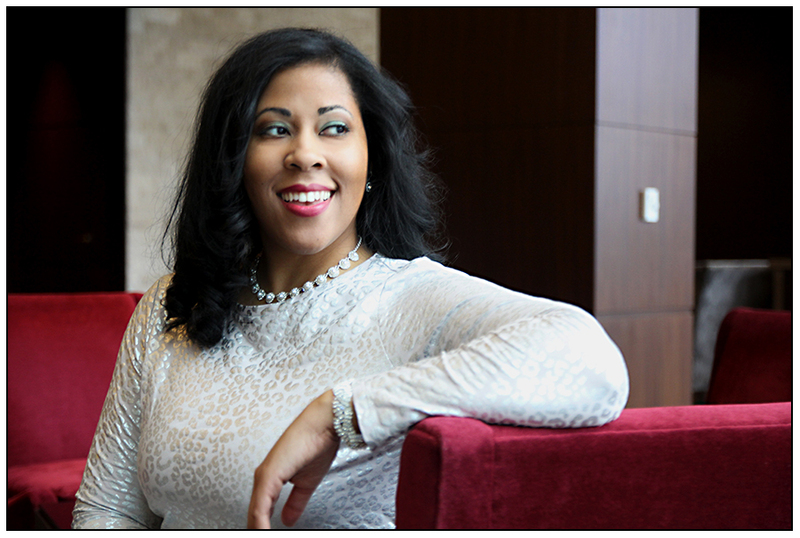 Dr. Carmen April is an entrepreneur and community leader recognized as a 2014 Nashville Emerging Young Leader Award Winner, a 2013 Nashville Business Journal Top 40 Under Forty Award Recipient and is a 2014 Graduate of the New Leaders Council Institute – Nashville Chapter. Dr. April is available for speaking engagements on Leadership and Life Leadership for College Students and Young Professionals.